Chromatography Research Supplies - Why Is My Filter Shipment Considered Hazardous? Versatile radiello passive diffusive air samplers feature a unique 3D radial design that provides several performance advancements compared to standard 2D flat axial air samplers. These samplers are a reliable, cost-effective alternative that offers both high sensitivity for low-level detection in short sampling periods (down to 15 min), as well as higher capacity so accurate results can be obtained over longer (30 day) sampling times. Because the radial design results in a higher rate of uptake and larger capacity, radiello air samplers are a versatile solution that allows labs to sample very efficiently for short durations or sample for longer periods without bias from analyte breakthrough or back diffusion. These air samplers are available for a wide range of chemical classes, so the choice of sampling material can be tailored to specific applications. Ideal for labs supporting environmental monitoring, industrial hygiene, and any other ambient (indoor/outdoor) air testing, radiello air samplers from Restek are recommended when a reliable source of versatile, high-performing, easy-to-use air samplers is required. Hamilton’s data-driven whitepaper shows how the Microlab 600 outperforms volumetric glassware, and from a versatility standpoint, it outperforms air displacement pipettes. The Microlab 600 saves time, money, limits waste production and maintains high accuracy and precision. Click here for more information on the Microlab 600. Some CRS filter customers may be all too aware of the dreaded “hazardous shipping fee”. But many customers may have never heard of it, or wonder why their shipment is considered hazardous? Everyone in any field of chemistry knows that there are some chemicals out there, possibly ones that are used every day, that are not treated with the respect they deserve. The ugly truth is that many materials are dangerous and should always be handled in the proper manner, even before they are opened. Some of the CRS items that are flagged as dangerous goods and require special hazardous shipping include the lithium ion rechargeable batteries used in our crimper tools, and our oxygen and carbon dioxide gas filters. The gas chromatograph (GC) is an extremely robust instrument that is widely used for the analysis of volatile organic compounds (VOCs). With a large linear dynamic range and sub-ppm sensitivity, the flame ionization detector (FID) has been a workhorse detector across many industries, including chemicals, oil & gas, paints & coatings, flavour & fragrance, and more. While the FID is one of the most widely used GC detectors, quantification using the FID can be a costly and time-intensive process due to the rigorous calibration process. Moreover, even the most expensive calibration standards are susceptible to degradation, volatility, mishandling and even poor preparation that lead to inaccuracies. A better way of quantification is required for accurate and efficient analysis in the new age. 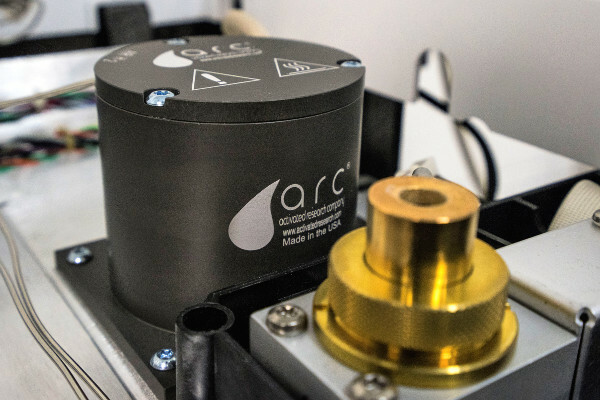 In this webinar, ARC will highlight recent advances in the GC and LC space which improve productivity, increase safety, and reduce waste through the concept of compound independent calibration. These advances open new capabilities in the laboratory by harnessing the latest in additive manufacturing and catalytic technologies.